'Kajrare Naina' is one of the most talked about theme in bollywood songs. Not only celebrities, but every female love darkening her eyelids to make them look more expressive. Kajal is one of the most ancient cosmetic being used by females. Infact in good old days, every mom used to apply homemade surma in her new-born baby's eyes out of the belief that it will make baby's eyes bigger and beautiful. 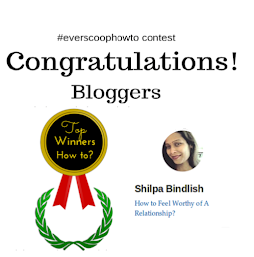 Now a days, we have plently of brands talking about goodness of their Kajal, but I have experienced that even some very reputed brands may cause itchiness or allergies to eyes. 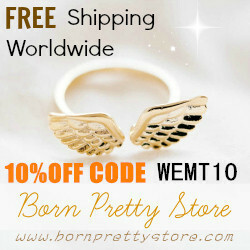 May be they contain harmful lead content. 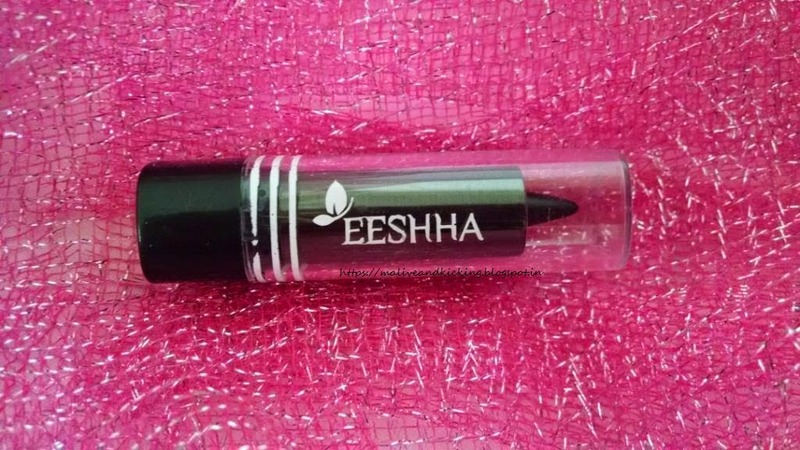 Today I am reviewing Eeshha Herbal's Smudge Free Kajal which is a special combination of precious licorice, camphor and almond oil for eye makeup :) A special combination of precious herbs and pure Almond Oil for eye make-up. Helps to pamper the skin around the eyes and lends sparkle to the eyes. It won't smudge, smear or fade after application. Castor Oil, Bees Wax, Carbon Black, Vitamin E, Oil Extract of Triphala ,Licorice, Almond Oil, Camphor. 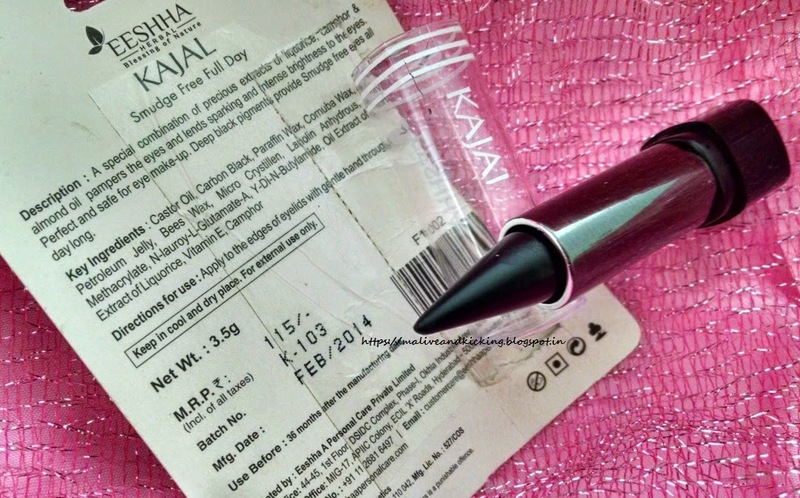 Price: Rs 115 for 3.5 gm kajal stick. Shelf Life: 36 months from packaging. 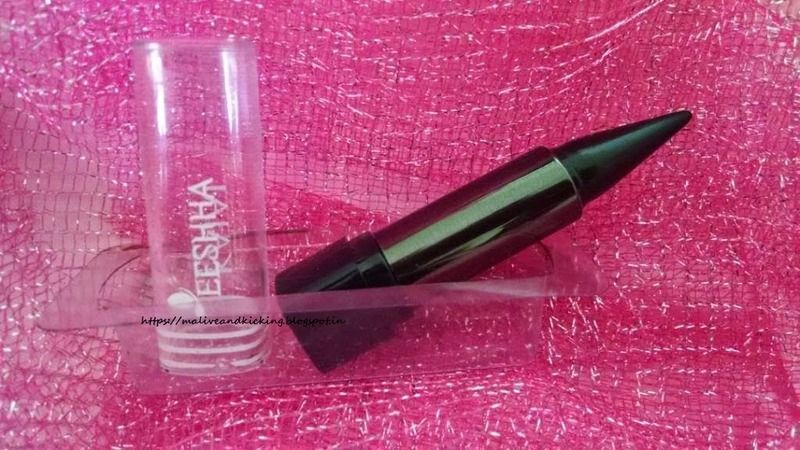 Eeshha Herbal Kajal is a stick shaped kajal in jet black color housed in bullet packaging having a transparent cap which lets you see the kajal stick from outside. There is nothing fancy about the packaging, but a decent look. The cap needs extra care to be taken due to its fragile material if you want to keeping this kajal stick in your handbag (as we girls mostly do). The kajal gave my eyes intense black outline in single stroke itself. But those who love deeper and thicker waterline to be prominently highlighted can swipe the kajal twice or more. The kajal stick glides quite easily and feels smooth. 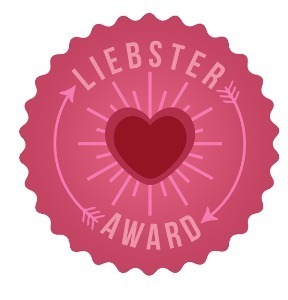 It didn't make my watery eyes feel stingy or irritated even while prolonged application. Now, talking about its staying power... I truly didn't expect this kajal to stay longer because most kohls formulated with natural ingredients fade off quite soon. But to my surprise, it stayed more than 5-6 hours without being smudged on my lower waterline. I am happy with the results. However, I can not go by its claim to be "Smudge Free", as it tend to smudge a bit if you apply it in thick lines. *Causes no irritation to eyes. 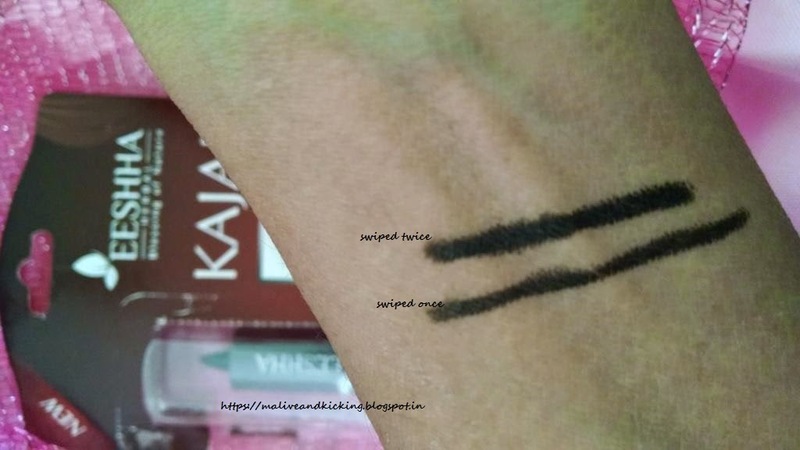 * Kajal Stick itself has no description printed on it, rather the outer cardboard packing is where you need to glance to know about its ingredients, qty, price etc. * The packaging could have been improved to make the lid tighter or screw cap, so as to make it travel friendly. * I wish a sharpener could be added to the packaging (may be by adding few more bucks to its price) to ease out the job of drawing a thin line out of kajal. * Not completely smudge free. Eeshha Herbal Smudge Free Kajal is a budget-friendly worthy product if you are looking for a chemical-free daily-wear eye makeup. It can perform fair enough to give you crisp precise lines or thick intense lines to brighten your facial looks. For such a inexpensive price, I won't mind buying it again. 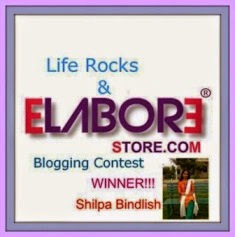 Hope my review interests you !! 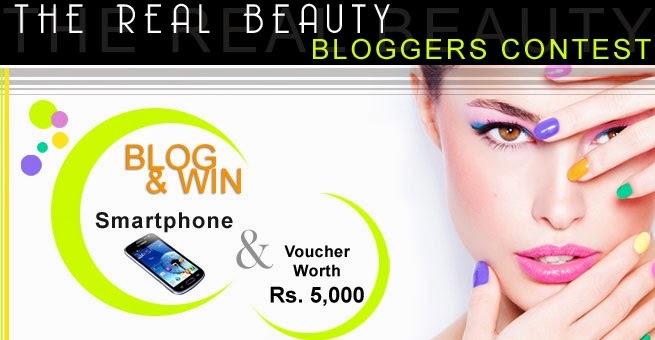 Looks like a great Kajal for the price it come. Packing needs to be improve a little. ya.. i found the results better than my expectation.